Hi XXXXXXXX I’m getting back to you in regards to our conversation the other day on the phone, I apologize for the delay. I have attached the studio rate chart for your convenience. I was able to take a listen to your music both on your website and at XXXXXXXX and I really enjoy your voice and intensity that seems to be a theme throughout all of your songs. I particularly enjoyed “Night Fade” with its strong groove. From an engineering standpoint the quality of your recordings sounds a little brittle and harsh on the high end this might be due to a poor mastering job, also the balance seems to favor the acoustic guitar and above everything else which can sound harsh at times. That being said, the instrumentation is great, I like they layering with the acoustic and electric guitars and the dynamic within your songs in regards to the writing.I know that you have your own engineer for your project and I just wanted to re-iterate the studio day rate of $500 a day with private engineer. That being said I wanted also to include my standard engineering blurb so that you can get to know me and more about what our studio is about should you choose to use us for our production and engineering services. A little about myself: I am the co-owner / head engineer down here at Abstract Rhythm, a studio that just had our 3 year anniversary (who0!) . I am originally from Vermont, and studied recording and audio production at Massachusetts Communications College in Boston. The General philosophy here at the studio is based on tracking as many things live as we can, and our facility was totally custom built with this objective in mind. We have great isolation between our 2 live rooms and a unique layout that puts everyone (including the engineer) in visual contact with each other. I believe that when tracking a record there is an artistic advantage of recording as much as you can simultaneously with the whole band together. I Believe that approaching the recording process in this way brings an energy and cohesion that lacks in a modern era of produced music where often the instruments are recorded at many different places at different times. 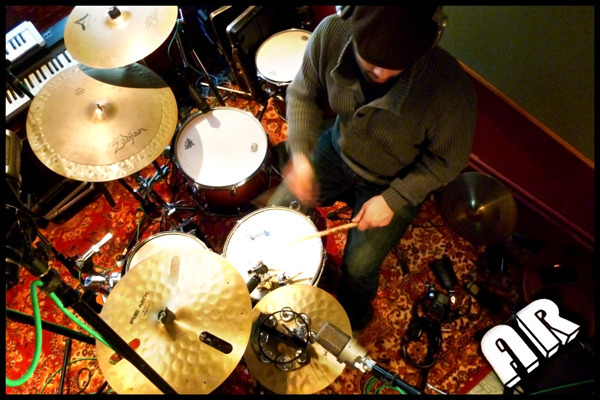 Recording everyone together is also a great way to maximize your studio time and save money. 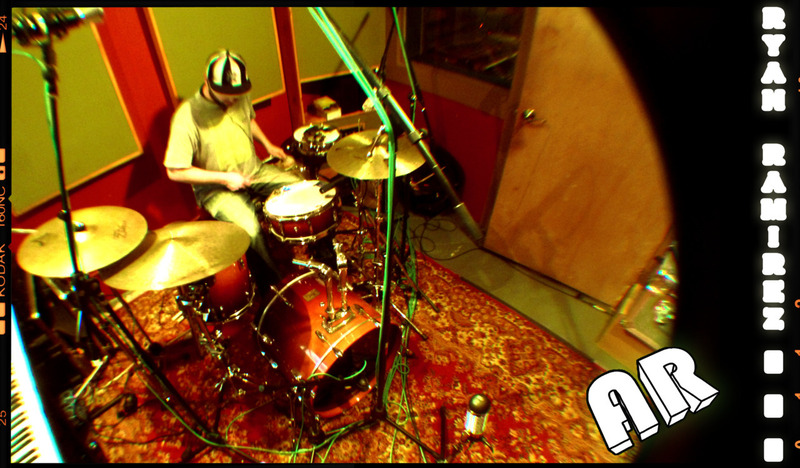 Our live rooms each have a specific character so we are able to get very particular with the actual acoustics of the instruments and drums BEFORE we record them. We track everything through using our 1982 Allen & Heath Brittish recording desk and selected external preamps each chosen to bring character to the recording process. With Abstract Rhythm you are getting a medium sized studio with great isolation, and a lot of sonic CHARACTER. Sonic character is the key from separating yourself in your genre where most recordings sound alike, have you thought about what your sound is? What we do best is encourage you to achieve something unique here. I don’t want to get all preachy but I tend to try to be as upfront as possible with my beliefs and what our strengths are as a studio in a market that is saturated with places that promise one thing or another. I am sure you have found in your search that many emphasize gear selection or deals, tape one thing or another. At Abstract Rhythm we are concerned with your project as a whole, the development of your sonic identity and the capturing of the natural dynamic of your band with a musical character that will help to bring your recording above the mediocrity of the masses. Working on the first exclusive Abstract Rhythm drum library with Ryan Ramirez in session today.